We love Gmail. Google’s email platform has a clean look and design which are essential to use a web tool on a long-term basis. The advanced features, reliability, simplicity are other main reasons why you prefer Gmail to other similar services. There are thousands of themes available on the web to decorate your website or blog. Their selection and usage depending on the nature of topics you handle. 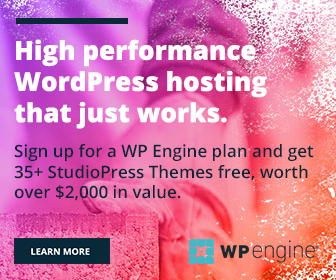 Blogging themes for bloggers, business themes for businesses, travel themes for travel websites and so on. 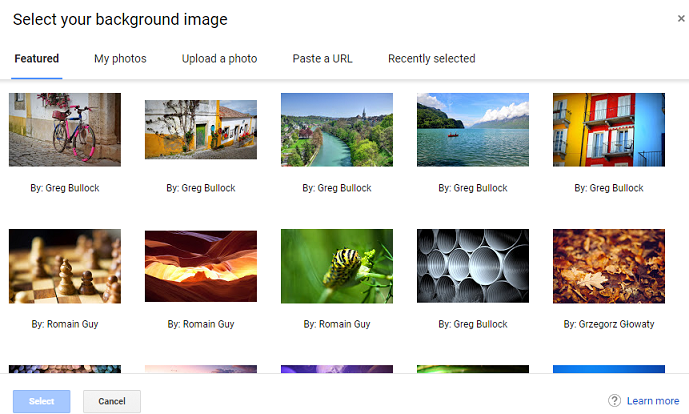 Gmail also allows users to personalize their email account with beautiful themes and pictures. But when compared to the website themes, they do a different job. They simply change the appearance of your email account and not the layout. Gmail theme is the great option to fill your inbox with unforgettable memories and lovely photographs. In this short guide, we’ll tell you how to personalize your Gmail account and give a unique look to it. Sign into your Gmail and tap the gear icon on the right side of the screen. A small box will open with submenu options. Choose Themes to view available themes and already uploaded images. Scroll down to the bottom to explore the entire library. 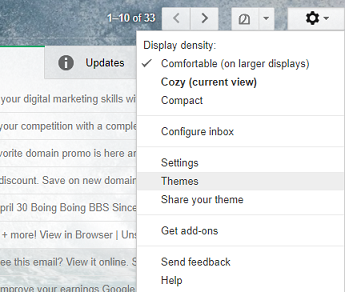 Click the text background, vignette, blur buttons on the bottom and adjust settings thereafter to manage your Gmail appearance. If you are not satisfied with the preloaded themes or want to decorate the account using own pictures, go to My Photos option. A new window will open which show five ways of choosing and applying a new background image. The Featured section showcase snaps from the famous photographers and you can quickly locate a Google photos uploaded image under My Photos tab. Upload a Photo and Paste a URL are other options to upload an image from the computer or insert an external library image. 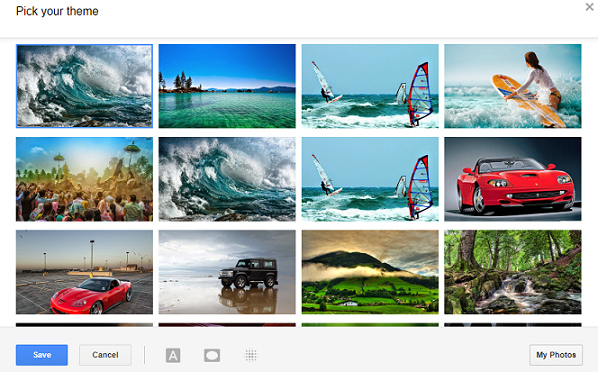 Select an image to quickly apply it as your Gmail background image.